Notify me by email when Wio Link Starter Kit becomes available. This kit is aimed at starters. 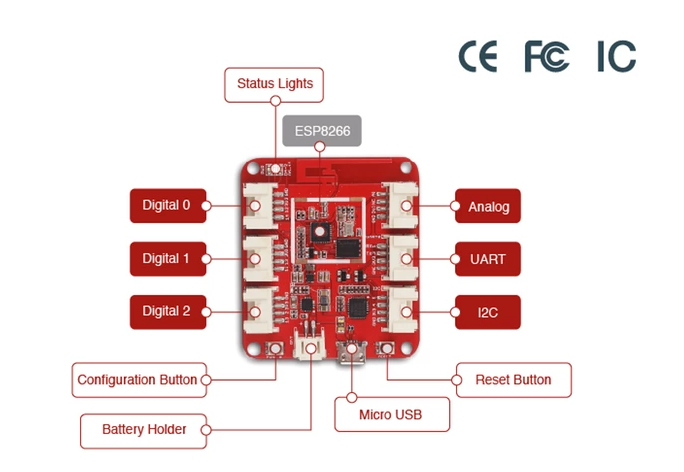 The functional modules included in this kit are selected especially for a beginner which are frequently required modules, and very cost-effective. 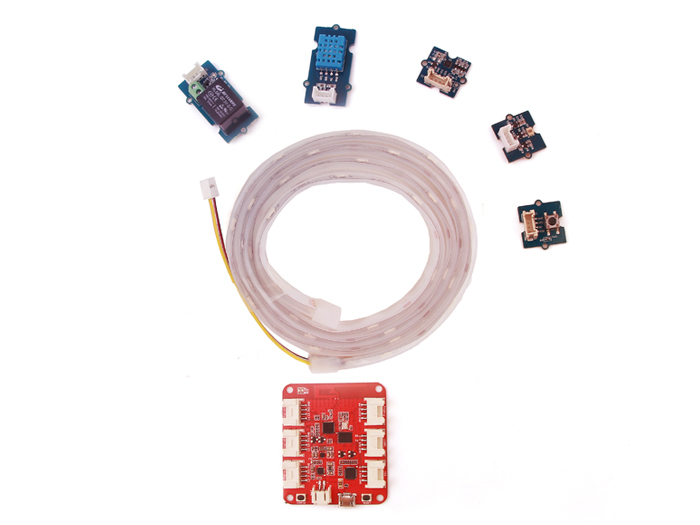 The most amazing part of this kit is the Wio Link development board which can be utilized for various devices: without much programming skill required. All the actions you want your modules performed and the flashing-code operation to Wio Link could be completed with taps in a mobile app. And you can send instructions to your devices over Internet at anywhere. So Wio Link will be a perfect utility to make things around smarter for everyone. Now let's enjoy being a maker.